Shawn Lukitsch of Shred Shed East. Want a cool vintage moped that actually runs? 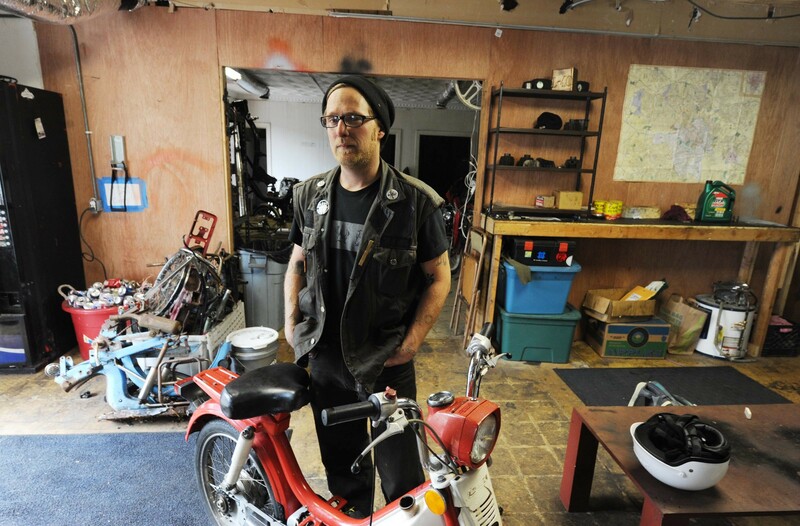 Shawn Lukitsch, owner of the Shred Shed East in Scott's Addition, digs through classified ads, basements, barns and trash heaps to find rusted gems. He then returns the bikes to working order and sells them to the general public at surprisingly reasonable prices. Riding one will instantly make you cooler than your average scooter rider, he says. Why? Because, as he says, who wants a "really generic-looking, plastic blahdity-blah scooter that looks like every other one?" 3110 W. Leigh St., 720-763-5724.